I 100% bet you do have your own famous people you adore, right? I'm positive that you have that idol you must see every day before starting your day, right? In fact, having your own icon you adore each and every day indicates that you are a normal human being. Do we need an icon for ourselves or not are entirely up to you. As for me, I definitely have my very own icon. Mine is Albert Einstein because he is freakin Genius. Now that said, I want you to share with me, who is your favourite famous icon and why? One person per one icon can participate. 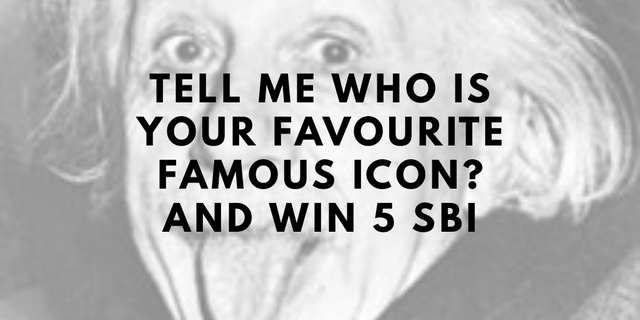 5 SBI will be distributed among 5 lucky winner for my favourite icon. 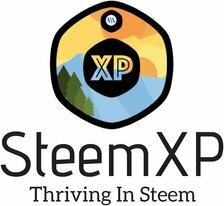 This contest will run for 2 days. That's it! Let the game begin. My favorite icon is Jesus Christ. He died for my sins. No one can top that. Diagnosed with Multiple Sclerosis at age 20, she never let this terrible disease slow her down. She worked a normal 9 to 5 job, then was a waitress at a local bar/restaurant, then finally took late night courses for secretarial related functions for her 9 to 5 job. I stayed with my grandmother a lot growing up because of this. But my mother went above and beyond to support me. My favourite famous icon is Anthony Joshua. Two things I have learnt from watching AJ is first "Action speaks louder than words". And secondly, always stay humble no matter who you are. AJ doesn't like bragging before a game, he just goes home and train. AJ always checks if his opponent is okay before he celebrates his victory. I Love AJ because of this two traits. He was the first Human who calculated a sun Eclipse befor it happend. (600 b.c.) He was a Philosoph,mathematician and astronomer. as the source of all things, to which everything returns. my favourite Icon is Thomas alva edison because he is intelligent and his IQ levels are high.i like his quote I have not failed. I've just found 10,000 ways that won't work. My favourite famous icon is Beethoven, Ludwig van Beethoven. He was a pianist, composers of piano music and orchestral music, and an orchestra conductor. He's married to his passion for music, ignoring love life and wealth, hated politics. As a prodigy @ genius, he composed a few of his greatest symphonies and sonatas when he was deaf. (He dictated while his student helped him transcribe his ideas into music notes.) He died poor in the countryside. Only after he died, people started to realize they had lost the most brilliant human in the world, after another student collected his compositions and works, compiled them and show to the world. Now, Beethoven's music are played all over the world from Grade One to Grade 8 to Diploma and Degree levels. His legacy will never cease. My students all know him and I will continue to pass down his legacy. I've only recently discovered that I have a favorite 'icon.' Typically, I don't latch on to famous people at all - perhaps I'm not as human as some? Anyway, my favorite icon is Elon Musk. This man is doing incredible things for humanity. He is a true visionary and is changing the entire world. He's not afraid to try and fail. He's not afraid to think outside of the box. He's the kind of guy who is going to see a problem not as a stopping point, but as a solution to be overcome. An example of how awesome this guy is: he (and his company Tesla) recently designed an electric car. Rather than hoarding the design, he's sharing it FOR FREE with the entire world. He wants to promote electric cars and knows that giving the technology away is one way to do so. He's been designing and launching space ships. He's working on building underground railroads to connect major cities to one another faster than ever before thought possible. Congratulations @robmojo! You received a personal award! Becaused he changed the way I looked at the world the most and he predicted the society we live in today. My favourite icon would be Jack Ma. Rising to top from nothing. When I am in any hardship, I just remember what he went through. He is really a true definition of "nothing is impossible". But after being in his position today, he is still as humble. mine is Bill Boeing of Boeing. He made international travel possible.